Herbert Hall, at age 59, is a world-renowned scientist who is bereft by his wife’s early death. He’s a leading authority in trans-species research and heads important experiments in a government-supported laboratory in Los Angeles. With no warning his lab is shut down, and his partner takes a position with the military. Deepening the mystery, the animals in transition to human form are stolen. Herbert’s good-looking and intelligent dog, Cody, has begun acting strangely. He runs away, doesn’t respond to Herbert’s commands, and stands in front of the refrigerator for long periods of time. In the past Herbert has used his dog to talk out problems, including his plans for further research in a home laboratory. He soon realizes that Cody’s strange behavior is tied to his interest in the vials of human DNA stored in the refrigerator. “You’re not hungry.” The words weren’t a question. Herbert opened the refrigerator. He studied Cody as he looked inside, the light glinting in his yellow eyes. Cody meets Fawn after her runaway dog hits the side of his car as he takes his driver’s test. She falls in love with him, awakening his desire for human contact. 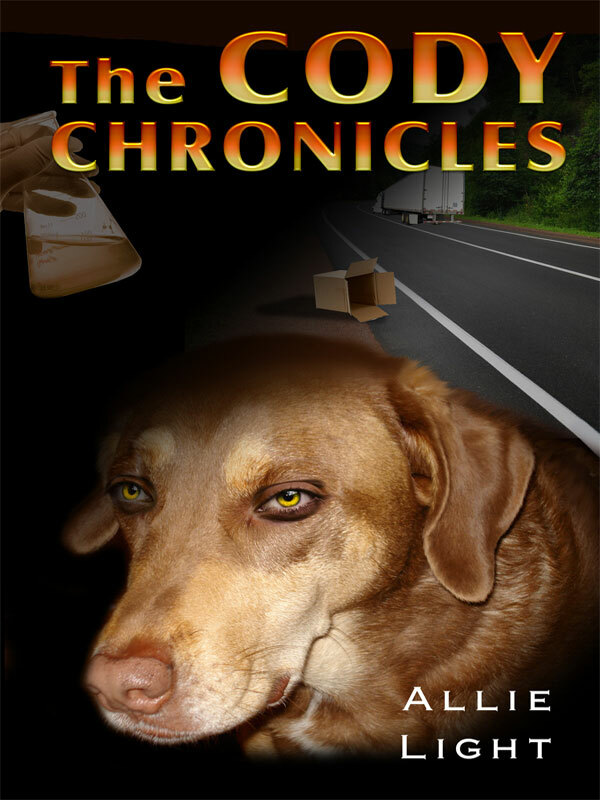 Within the story, Cody chronicles his human and canine thoughts and feelings—”I am haunted by never having been a human child. When humans are born they are put into a nursery. I feel I have entered an empty nursery, a place where the children have vanished. How do I invent a childhood I never had?” Around his commentary is the larger narrative of suspense, betrayal, death, and a love that crosses species. You can purchase the book online from Smashwords in multiple eBook formats at http://www.smashwords.com/books/view/66972.